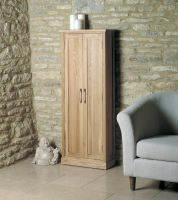 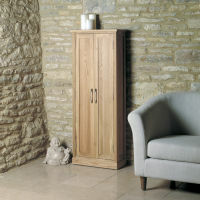 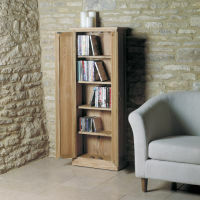 This excellent Mobel oak DVD storage cupboard is a smart and effecient way to keep your DVD and CDs tidied neatly away. 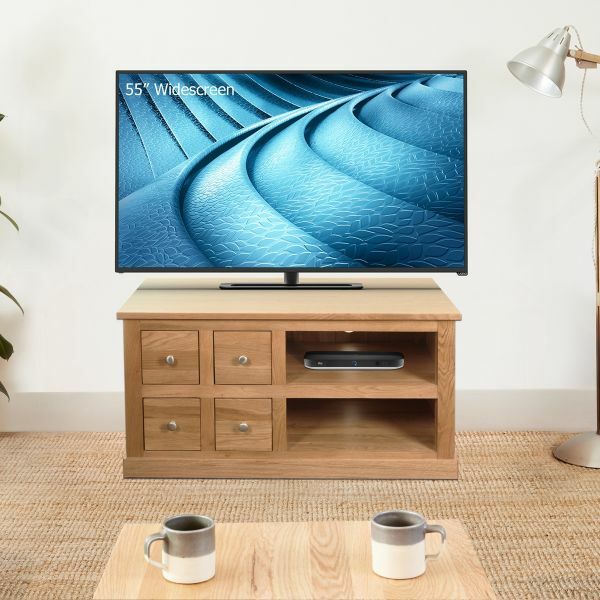 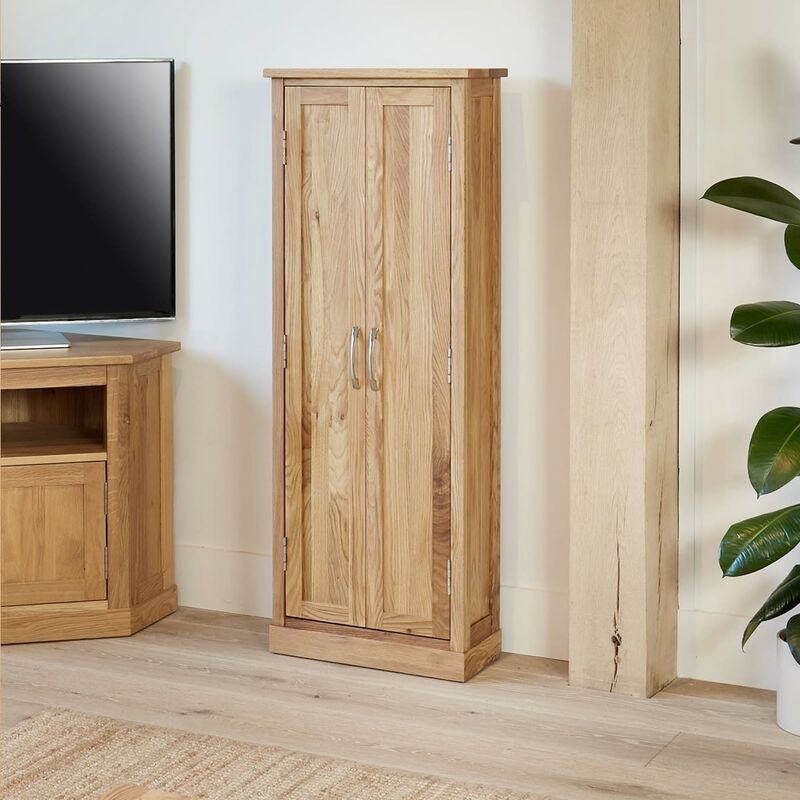 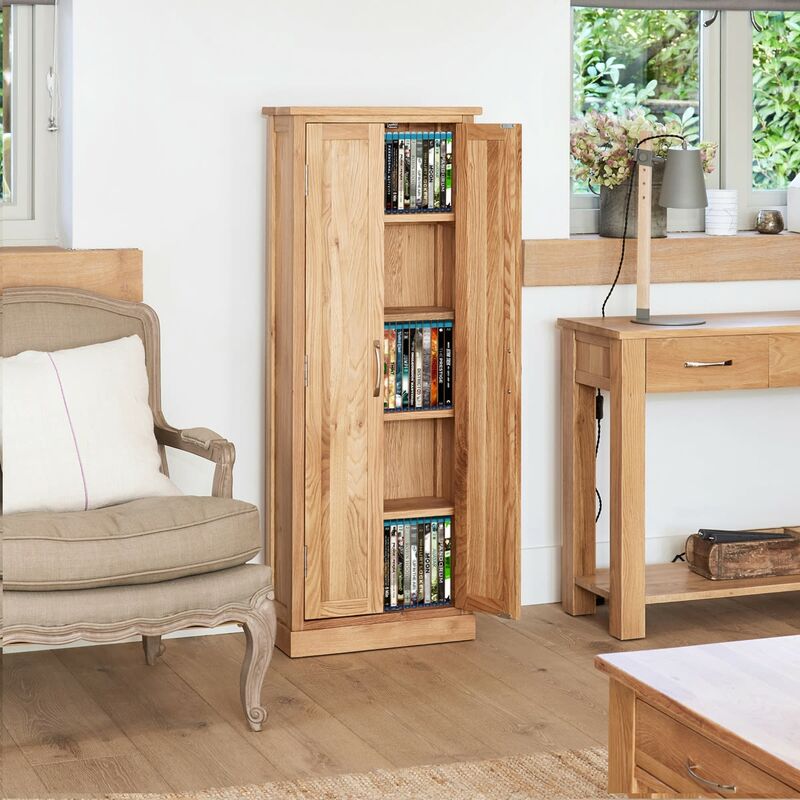 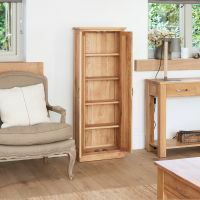 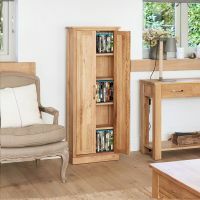 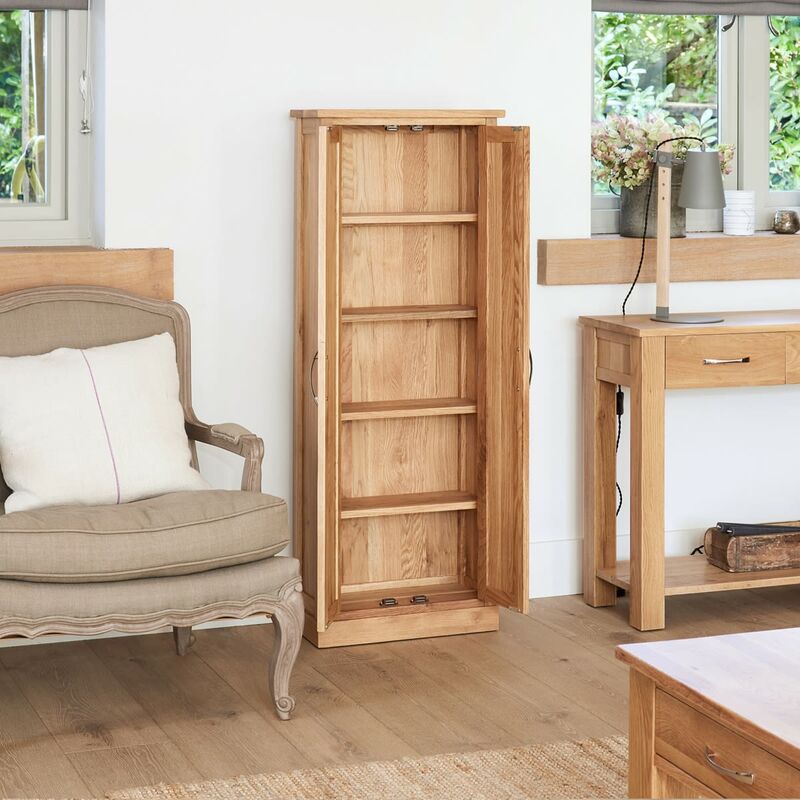 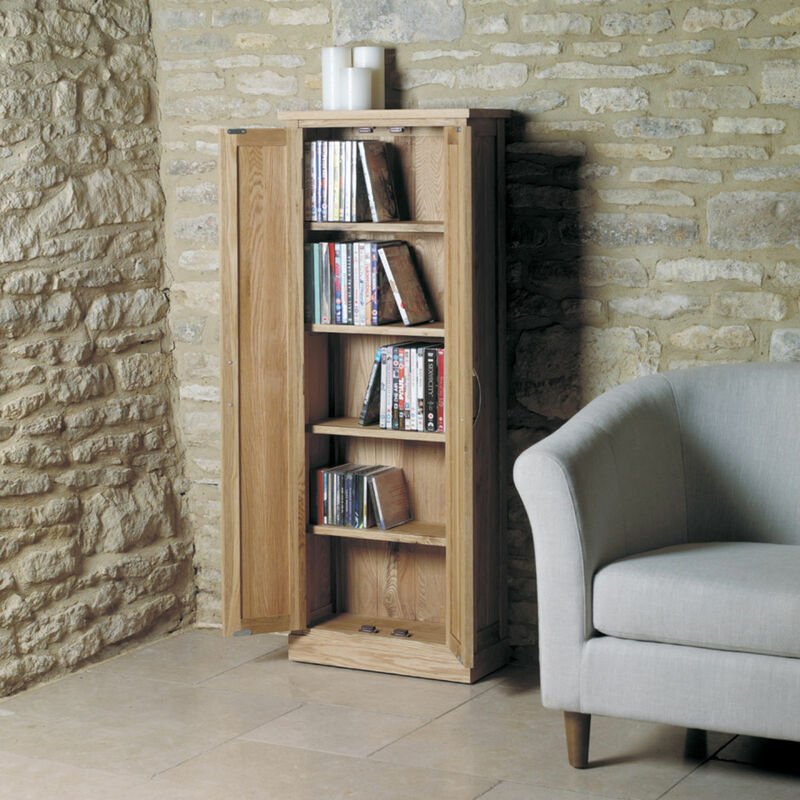 This oak DVD storage cupboard has ample storage for both CDs and DVDs (stores up to approximately 190 CDs or 125 DVDs), is made from the highest grade selected solid oak and has exceptional build quality - designed to last a lifetime. 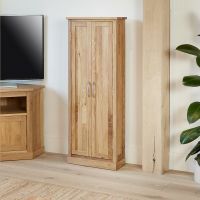 Practical and versatile, this oak DVD storage cabinet can be used for many other purposes, such as a bathroom storage cupboard. 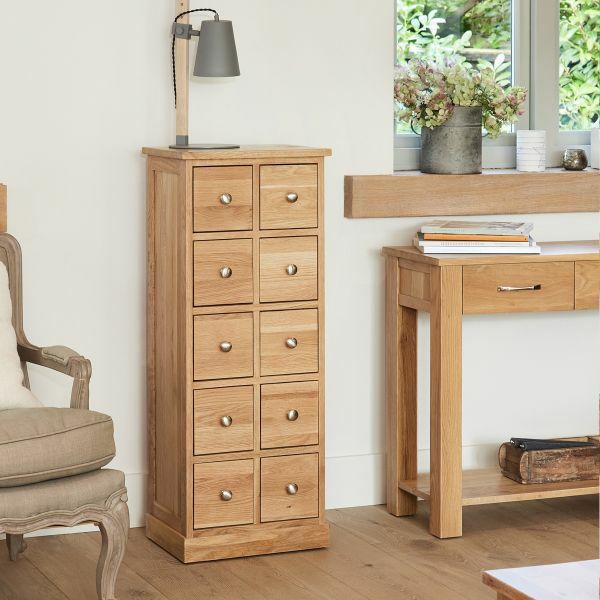 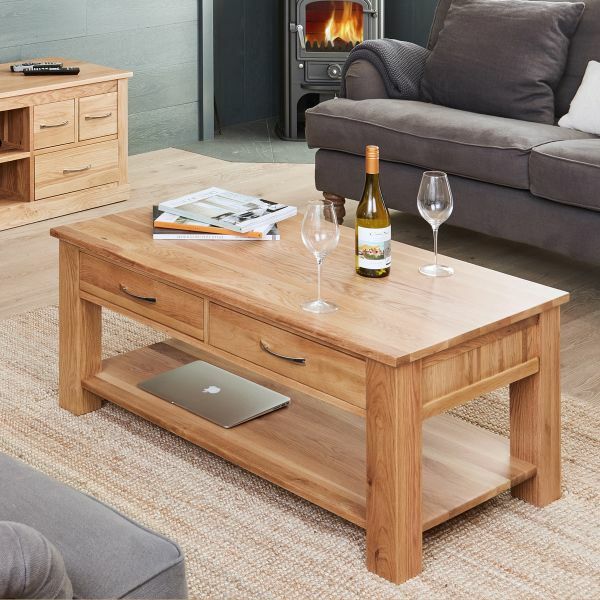 Product details include hardwood back, no veneers, panelled sides, tongue and groove back with brushed steel handles and the resilient satin lacquer finish provides a tough, hardwearing exterior. 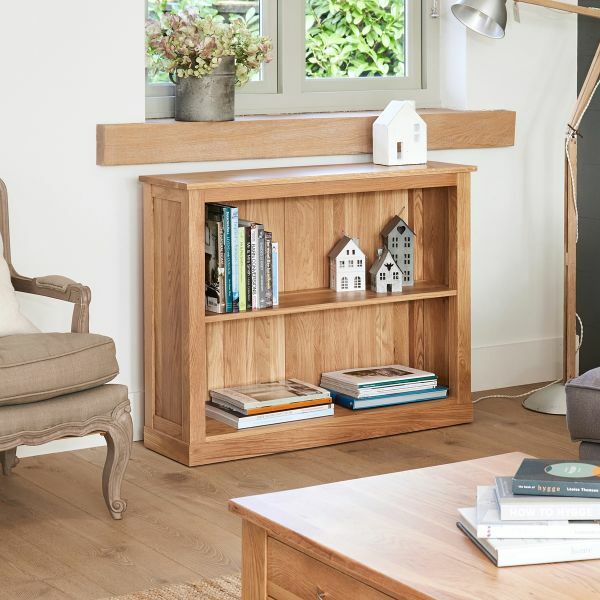 Matches this corner oak tv stand perfectly.